On 18-20 September, ten representatives of Ukrainian municipalities who are piloting an information system for ASCs (Vulyk) within the EGOV4UKRAINE project participated in a study tour to Estonia to gather best practice and find inspiration on how to deliver services to citizens and develop e-governance in municipalities. Study tour participants included city mayors from Kakhovka, Obukhiv, Pereiaslav-Khmelnytskyi, Chortkiv, representatives of City Councils from Ukrainka and Nova Kakhovka, and heads of departments of administrative services from Kamianets-Podilskyi, Rzhyshchiv, Olevsk and Yuzhne. The participants got an overview of the principles and key elements of the Estonian e-governance ecosystem, e-government development at the local level and citizen engagement in decision-making processes. Moreover, they were introduced to how Estonia uses digital identity and digital signature in e-service provision. The delegation visited the Estonian Government to get an insight into the paperless electronic decision-making process of the e-Cabinet, as well as the Estonian Police and Border Guard Board and City Governments of Tallinn and Tartu. The study tour was organised by the e-Governance Academy within the U-LEAD support project EGOV4UKRAINE with the assistance of the European Union and its Member States Denmark, Estonia, Germany, Poland and Sweden. 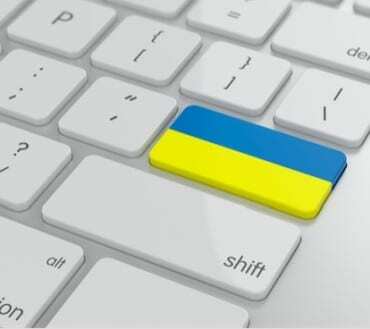 EGOV4UKRAINE is part of Ukraine’s decentralisation programme for more transparent and accountable governance and support activities.